Your GPS may record us as Banksmeadow. Green Street can be located via Holloway Street and Page Street just off Wentworth Avenue. 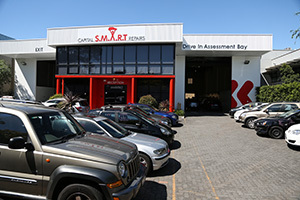 When dropping off your car, enter from the right hand driveway and proceed to the dedicated assessment bays located on the right hand side of the workshop. Please walk in to reception where Customer Care will greet you.